​Ginny Hogan is an LA-based writer and stand up comic. She's a contributor for The New Yorker, Cosmopolitan, McSweeney's, Vulture, The Hairpin, the Bold Italic, and The Establishment, and she's the editor of Little Old Lady Comedy. One of her articles was included in The New Yorker's list of top humor pieces of 2018, and she was in the January 21st, 2019 print edition. She has been included on this list of top humorists for 2019. Forbes profiled her as a rising satire star. She is currently working on a humor book about women in the workplace with Morrow Gift, an imprint of HarperCollins. Margaret Atwood once tweeted one of her articles, and she hasn't been the same since. 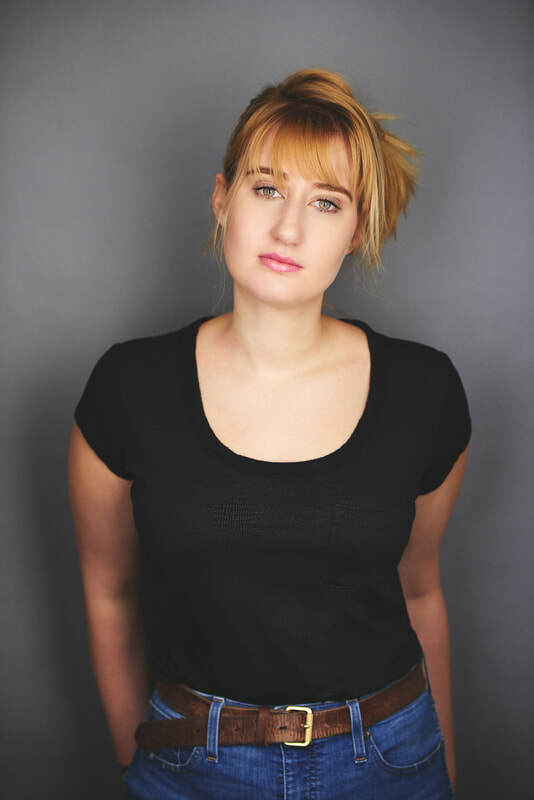 Ginny has performed stand up comedy at the Comedy Store in Los Angeles, the San Francisco Punch Line, and clubs all around New York. She's also been seen at The Boston Women In Comedy Festival, San Francisco Sketchfest, the Chicago Women's Funny Festival, the Finger Lakes Festival, and the Park Slope Comedy Festival. She was a semi-finalist in the 2017 Trial By Laughter Competition. She wrote for the 2018 Friar's Club roast of Gloria Allred. She tweets what can only be described as "a reasonable amount" @ginnyhogan_, and she deeply resents the owner of the handle @ginnyhogan. Vulture recently wrote an article about her Twitter account, available here. Her tweets have been featured on a number of lists of top tweets, including here, here, here, and here. She recently wrote and directed a sketch show, "Are You There God? It's Me Margaret The Sequel: Margaret Changes Birth Control A Lot", that was performed at UCB Hell's Kitchen. SPEECH KIDS: A competitive all-girls high school speech team fights to win at a weekend tournament. They are surrounded by almost all boys, and their romantic feelings often get in the way of their desire to win. CODE LIKE A GIRL: A young woman runs a consultancy to teach women how to act like men to get ahead in male-dominated fields. Over time, she decides she's doing them a disservice and instead begins a revolution to 'disrupt' corporate culture in the tech industry.